According to the Ministry of Agriculture and Rural Development, the Mekong Delta has 5,470 hectares under pangasius breeding and farmers have harvested 3,844 hectares with an average 279 tons per hectare, a year-on-year decrease of 26 tons per hectare. The Vietnam Association of Seafood Exporters and Producers (VASEP) announced that currently around 160 pangasius exporters operate in the country, a decrease of 30 percent compared to 2011. Among them, only 20 percent are maintaining steady operations while others are working sporadically. In Dong Thap Province, Dinh Thi Huong, owner of 10 acres of pangasius breeding area in Tan Cong Chi Commune in Tan Hong District, is very disappointed over the fall in price after the fish sold for VND21,000 per kilogram, while she has to spend VND300 million (US$19,215) per day on feed. She suffers a huge loss by selling fish but she has no choice as she needs the money for feed. Farmer Vo Van De in Thot Not District in Can Tho City said farmers are too tired to breed fish, as enterprises have reduced price on bumper crops and most farmers have stopped raising fish. Even though there is a big demand in the world these days, price still drops. Even entrepreneurs worry about reduced markets for exports. Nguyen Van Dao, director of Go Dang Company, says low price has caused ineffectiveness in the processing factory. 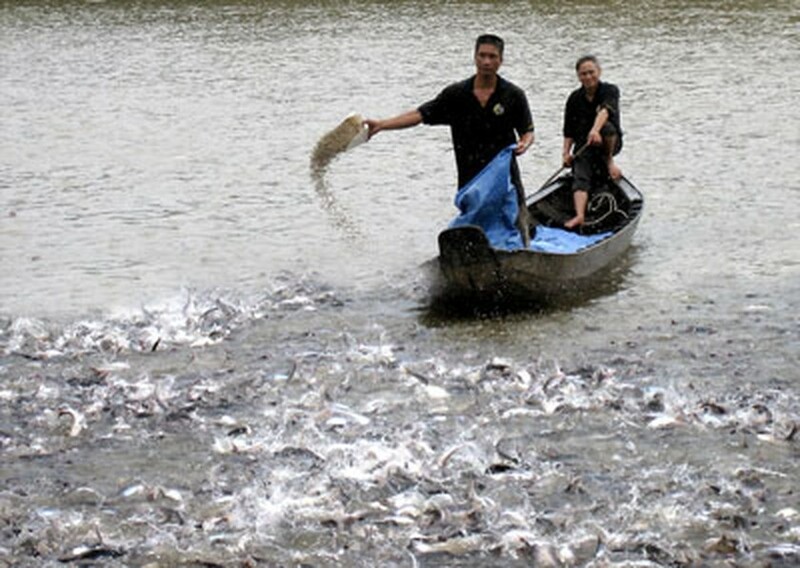 Worse still, banks and credit institutions no longer want to lend money to pangasius farmers. 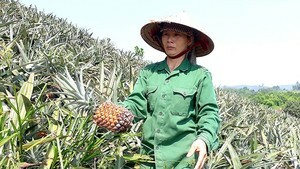 Tran Thi Ngoat in Thot Not District of Can Tho City said no farmers are accessible to bank capital although the State Bank of Vietnam announced that it will provide more than VND38 trillion ($1.8 billion) to farmers; accordingly, farmers purchased feed from agents on credit and accepted interest rate of 20 percent per year. Meanwhile leaders of VietinBank in Dong Thap said they had disbursed VND847 billion for pangasius farmers and the State Bank of Vietnam in Dong Thap said the bank has provided VND5,240 billion for sea food processing activities, mainly pangasius. However, both banks said they will only provide capital to a few select individuals and organizations.